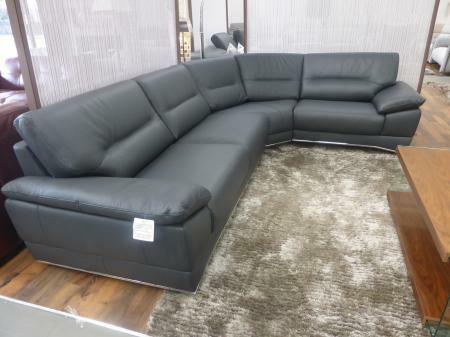 This wonderful fully upholstered sofa in beautiful soft anthracite Italian craftsman genuine leather is a must have centrepiece for any modern home living space. 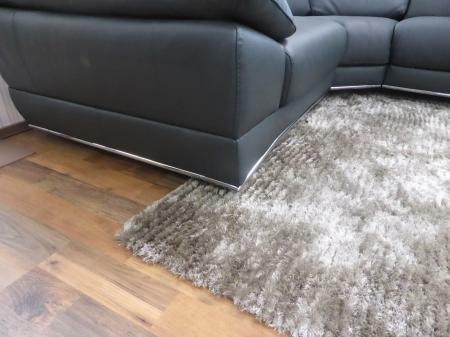 This beautiful sofa features a stunning chrome rail round the base of the sofa to give it a modern and stylish finish. 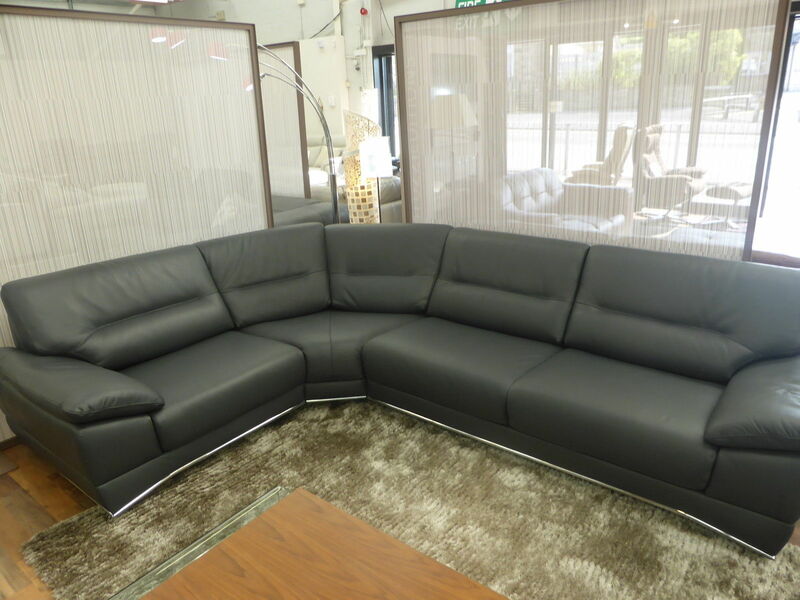 An extremely opulent and comfortable sofa, this model gives maximum style without comprimising on relaxation. Measures:310 cm x 230 cm x 95cm deep and available either left or right hand facing. 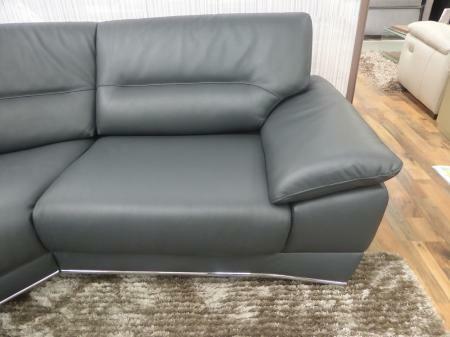 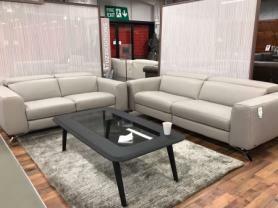 New UK stock for fast delivery, get this fantastic bargain from the Natuzzi UK official clearance outlet Furnimax.